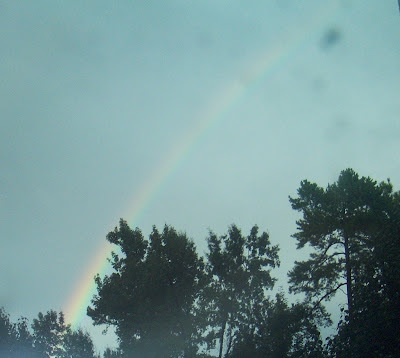 This was taken out of the waiting room window about the time Oaklee was born. My dad was driving to the hospital and said it looked like it was right over the hospital. Cindy and Oaklee are both trying to sleep right now. Oaklee is still trying to learn to breast feed. We will probably be going home this evening if all goes well this afternoon.